This large wooden puzzle consists of large pieces that will allow smaller develop motor skills, agility. 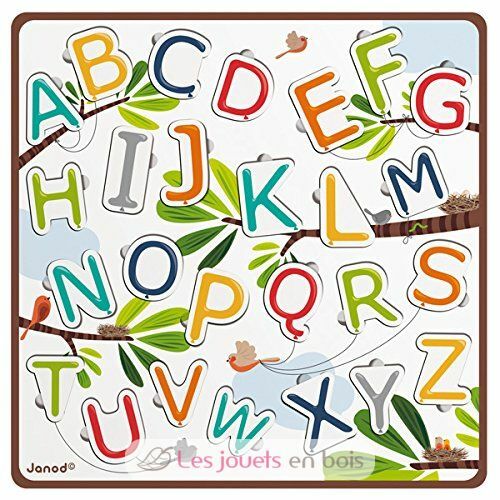 26 letters of the alphabet balloons colored wood. Your child will learn and understand the parts and combine. For larger, it will be a good learning the alphabet. A wooden toy of Janod brand.